There’s no need to wait until summer to fire up the grill! Our next-door neighbors David and Amy, proved that you can barbecue all-year long with their savory Bacon Wrapped Jalapeño Cream Cheese and Steak Medallions. Back in January when A&M played Duke, Amy and David had us over along with a few other friends to watch the game. While it was extremely cold outside, David still heated up the grill and made these amazing bacon-wrapped steak bites along with Amy’s spinach artichoke dip, and all the other football-snacks we all brought over. Not only did A&M squeak their way to a victory, we had a great time visiting with friends, BBQ-ing in the winter and eating wonderful food. 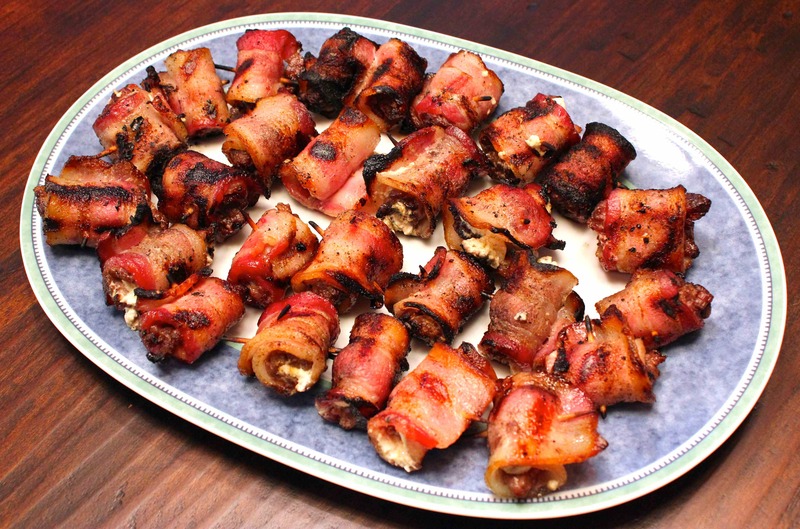 From Texas A&M football games in the fall to March Madness and Memorial Day get-togethers in the spring, these sizzling smoked bacon-wrapped appetizers are sure to make ideal hors d’oeuvres for friends and family. 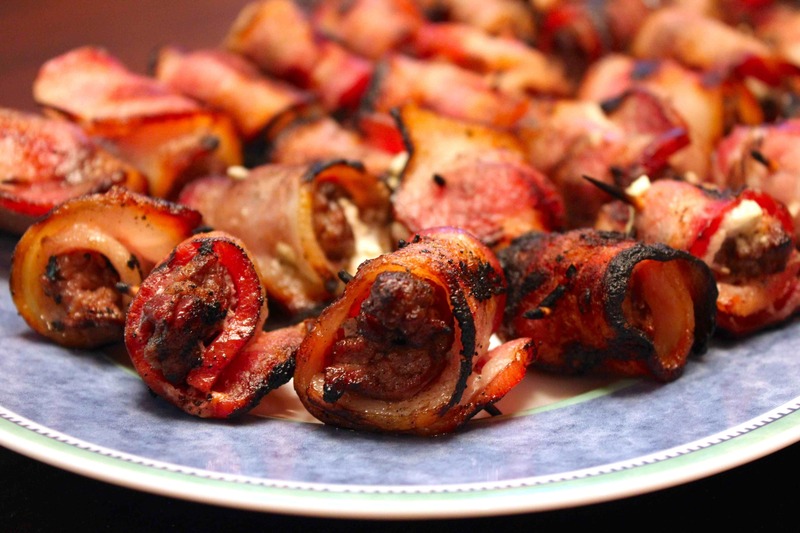 Plus, how can you resist anything wrapped in bacon? Enjoy! Place meat into a shallow pan and cover with steak or Worcestershire sauce and sprinkle Lowery’s seasoned salt generously. For best results, let the meat marinate for at least 3-4 hours. Prepare a fire on one side in a charcoal grill. Let the grill get very hot. Cut the long bacon strips in half. Wrap a half strip of bacon around each steak, securing it with a toothpick or kitchen twine. If you want to add a little kick, add a dollop of jalapeño cream cheese to the meat before you wrap the bacon around it. 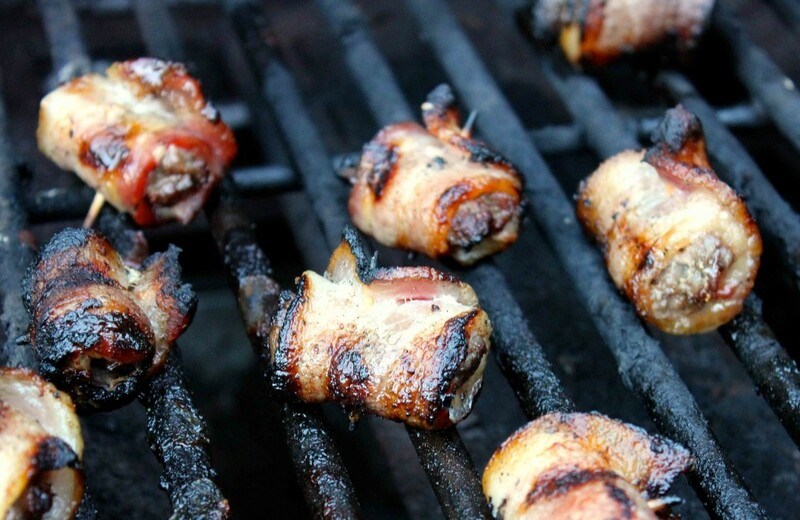 Place the bacon wraps on the grill, but not directly over the fire. Grill with the lid closed, turning every 4-5 minutes until the inside of the meat is cooked to your desired preference.